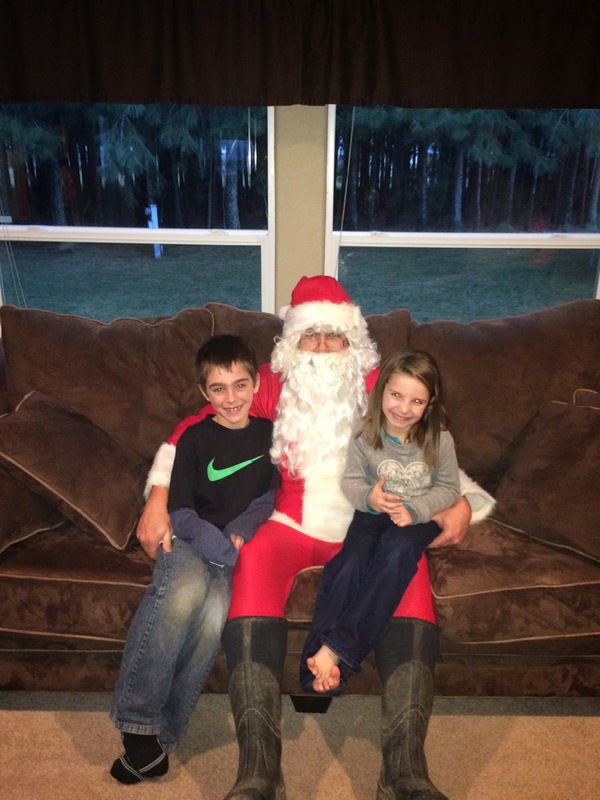 A few nights ago the kids were treated to a surprise visit from Santa Claus. While this Santa may have sounded and looked a lot like Uncle Josh it gave the kids a great chance to practice their Christmas wishes and provided an awesome photo op! Thanks to this Santa for taking time away from the North Pole to visit the kids!